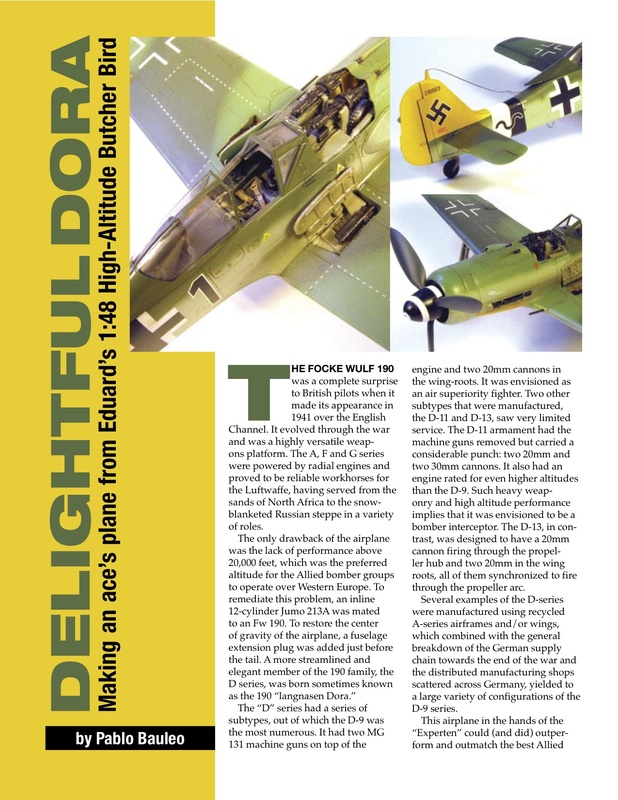 The FOCKE WULF 190 was a complete surprise to British pilots when it made its appearance in 1941 over the English Channel. It evolved through the war and was a highly versatile weapons platform. The A, F and G series were powered by radial engines and proved to be reliable workhorses for the Luftwaffe, having served from the sands of North Africa to the snow blanketed Russian steppe in a variety of roles.